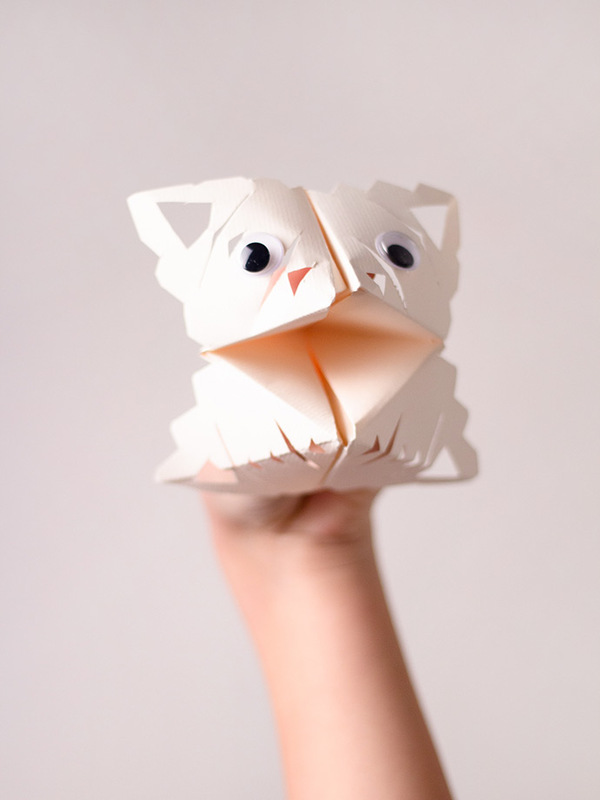 Remember those paper fortune tellers you used to make when you were a kid? 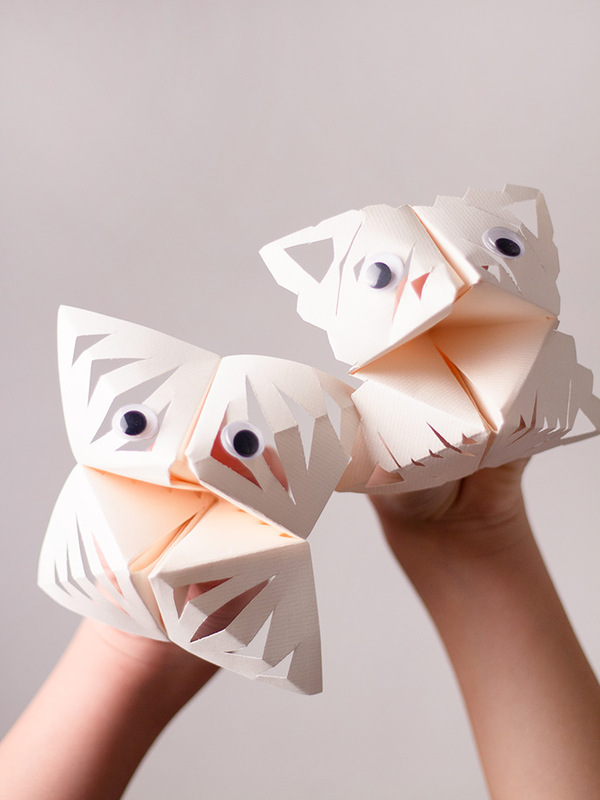 Today we used that exact same folding technique to make these playful snowflake puppets! 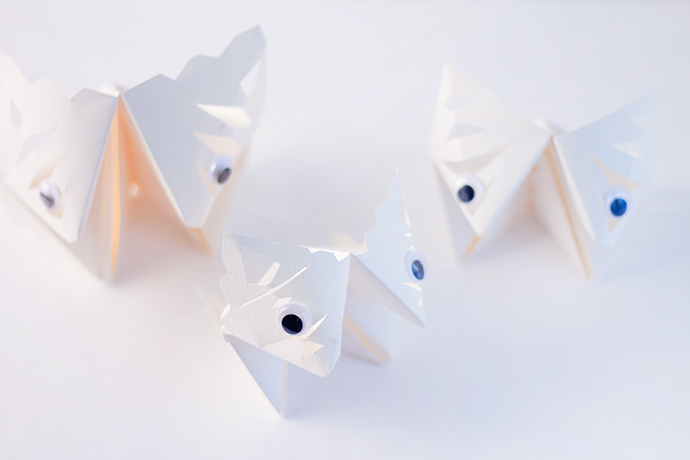 Instead of decorating the fortune tellers with colored dots, numbers, and written fortunes though, we instead gave them a little trim with scissors and added some silly googly eyes to give them a whole new life as these wintery puppets. 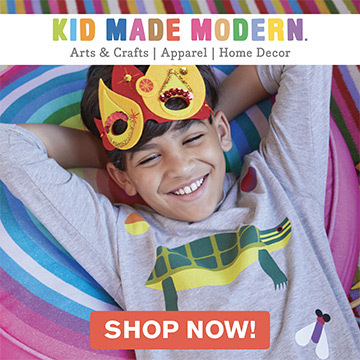 Kids will love making these – they’re SUPER quick to do, and you probably already have everything you need to make a whole bunch of them! Watch the how-to video below, or keep reading for the written step-by-step instructions. 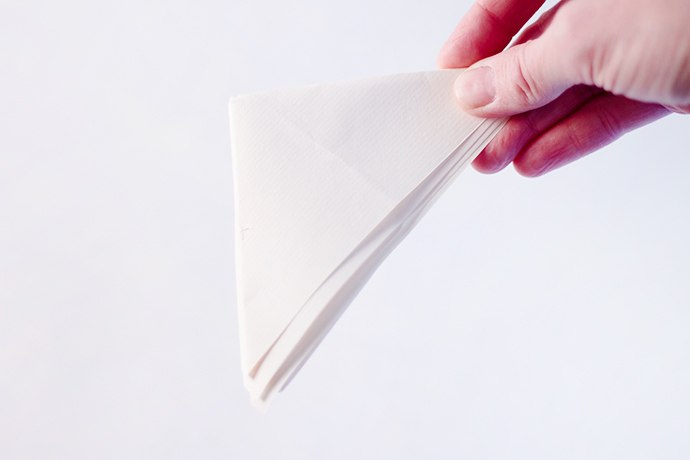 Begin by cutting your white paper into a square. 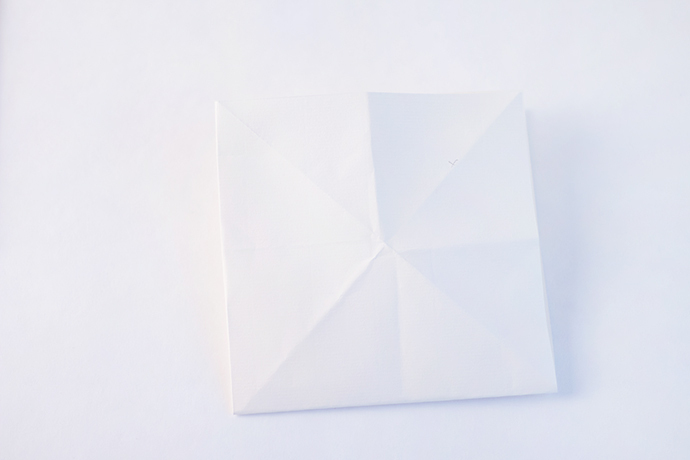 Now we’re going to fold it into a fortune teller (or cootie catcher) – start by folding each of the four corners into the center as shown above. 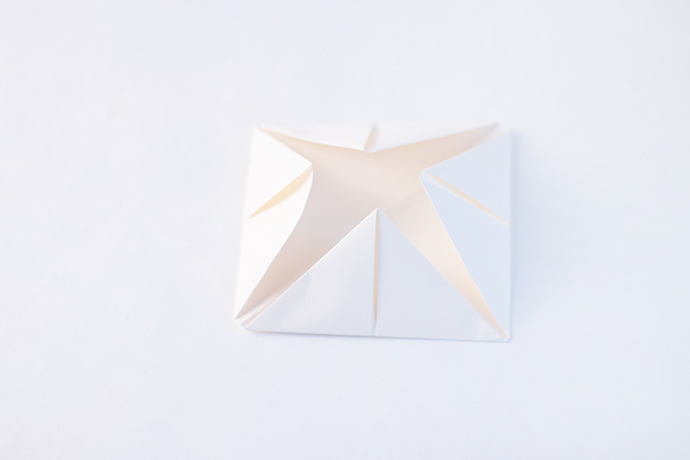 Now flip this square over and fold these corners into the center so that you end up with something that looks like the paper above. Flip the square back over and you should be looking at something like this. Use a pencil to lightly mark each of these four squares in the corners. 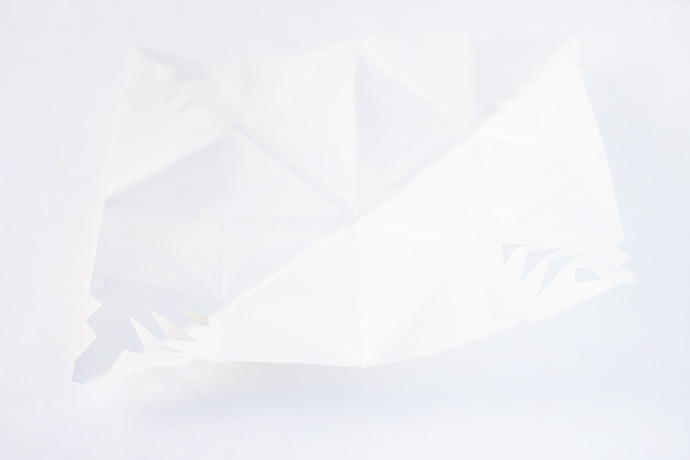 Now unfold the paper completely so you just have a regular paper square again. 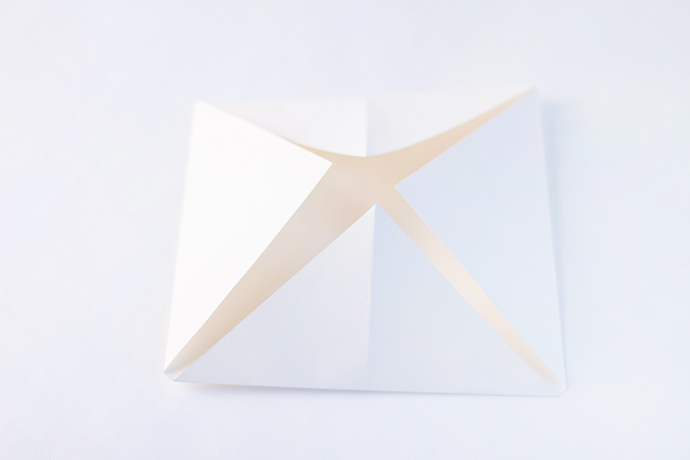 Fold the flat paper square into quarters so that the corners you marked with pencil are visible. 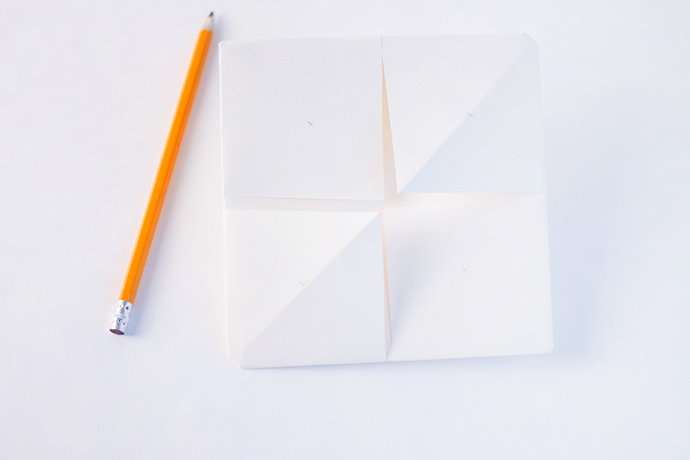 Now fold this paper square in half diagonally across the pencil-marked squares so that you now have a triangle. 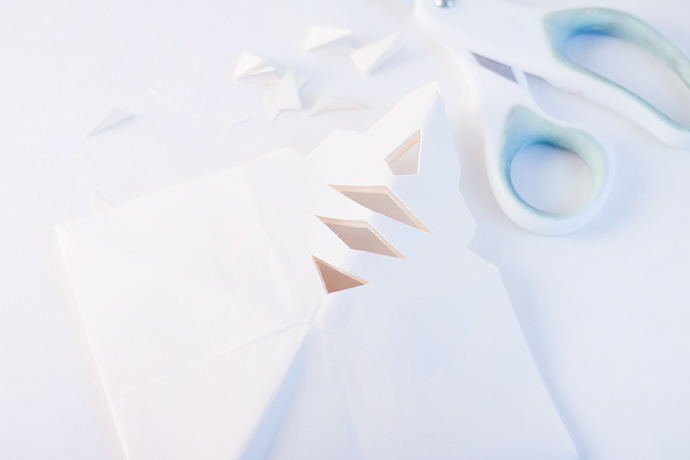 Time to make a snowflake! We’re only going to cut along the folded edge within the pencil-marked square. You can cut some shapes into the edges as well, but again make sure to only do this on the pencil-marked area as that’s the only bit that will be visible later. 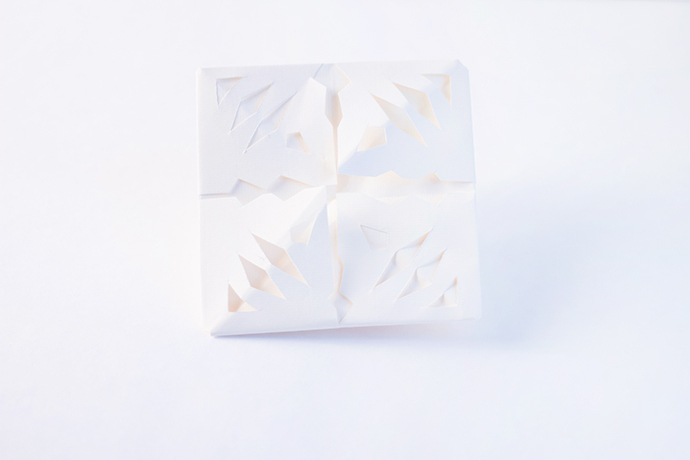 Now unfold the paper again completely – the four corners should sort of look like snowflakes now! 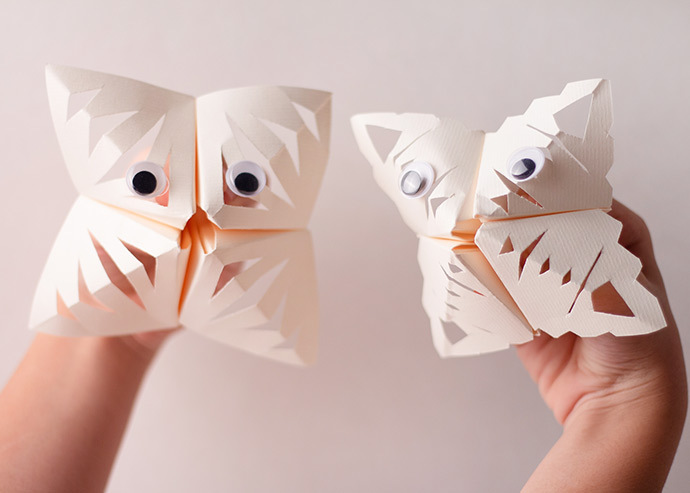 Refold the paper squares into a fortune teller in the same way you did in steps 1 and 2. 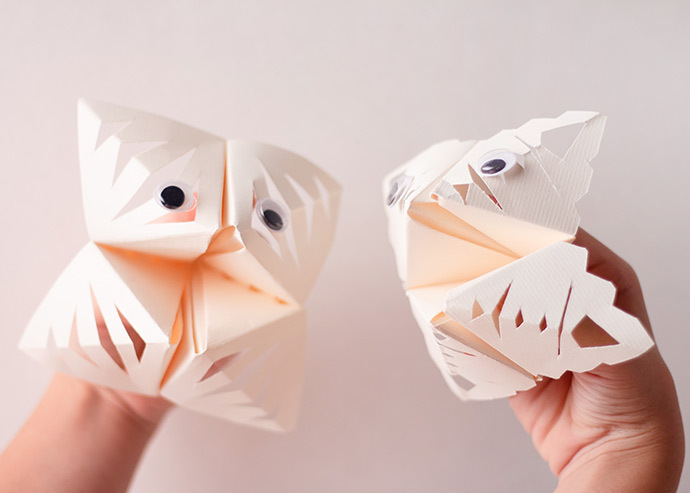 Pop the paper into the 3D fortune teller shape – the snowflake cut edges should be the area where you would normally put a colored dot. Instead, erase any pencil marks that are still visible and use glue to attach googly eyes onto two of the segments. 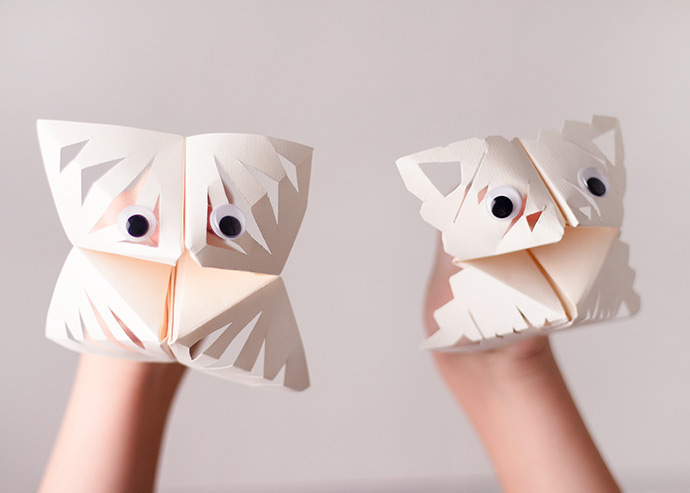 Repeat this process to make as many snowflake puppets as you like!